New Star Wars Battlefront II Trailer Drops Tons of Details | Nerd Much? The Force is certainly looking strong with this one. EA, with the assistance of John Boyega, has blown the doors off of Star Wars Battlefront II this morning. The publisher dropped a new video featuring nearly five minutes of details scouring the single and multiplayer versions of the game which lands in November. EA is going above and beyond what we received with Star Wars Battlefront. While Battlefront had 4 locations in its base game, Battlefront II will feature 18 across single player and multiplayer. Battlefront saw 6 playable characters when it released, Battlefront II will see 14. And within Battlefront you could man 11 different styles of vehicles. In Battlefront II that number soars to 39. Amongst all of those options, we also have a new overall meta incoming in regards to multiplayer matches: Classes. Within Star Wars Battlefront II you’ll be choosing whether to play within the Assault, Heavy, Specialist or Officer classes. Each have their own unique abilities, weapons and weapon attachments. As you play through multiplayer matches, you’ll earn Battle Points which can be used to call in reinforcements. You can request the assistance of middle level characters such as Flame Troopers and Wookies. Or you can save those Battle Points to bring in the big guns, characters that include Princess Leia, Kylo Ren, Boba Fett, Darth Maul, Han Solo, Rey and Luke Skywalker. The Battle Points even extend over to the vehicular side of things too. Each Star Fighter in the game will earn Battle Points within their bouts as well. Earning those can bring in iconic hero ships that will have an edge in battle to help give your squad the upper hand. The final minute or so of the trailer then showcased a few hints covering the story within Star Wars Battlefront II. It’s an original narrative, bridging the events of Return of the Jedi and The Force Awakens. You’re Special Forces soldier Iden Versio. She’s still fighting for the Empire – albeit without an Emperor. She’s as deadly in the air as she is on the ground. And while exploring the games story, you’ll run into familiar characters post Return of the Jedi. The entire package looks quite impressive. It appears to be worth the two year wait since the initially Star Wars Battlefront came back onto the scene. 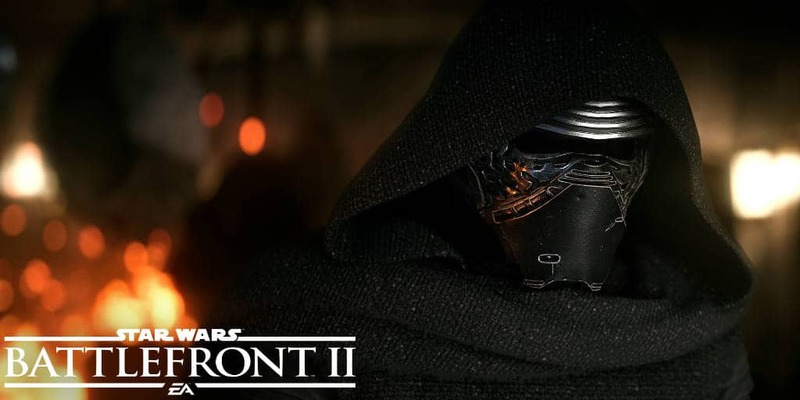 We’ll have to see for sure whether it it all comes together when Star Wars Battlefront II releases on November 17th. Check out more of the hottest upcoming games of 2017 here.